The bug doc has been moved to Trello. For those of you who had admin access to the old bug doc please contact me when you have a trello account and I will give you write permission. It is visible to anyone on the net and the link is on the left hand side. The reason for the changes is a better sorting system then just docs. And its a nice GUI that lets you see just about everything at once. 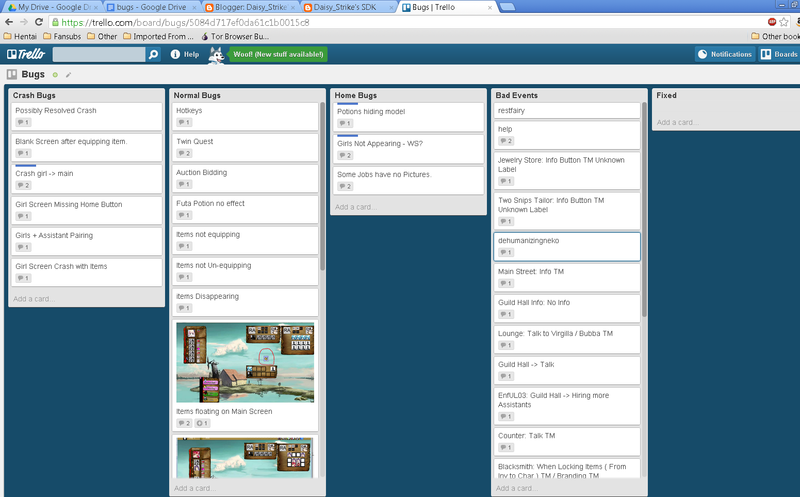 Also there is a new To Do Trello as well with tasks that are still on the drawing board. We shall see if I keep it up to date or not. One question. Where can I get the latest version of this? The download link just takes me to the November update.